Hello, Guys are you looking for the RSMSSB Tax Assistant Recruitment 2018? So we have great news for all those contenders who want to make their career bright in the latest government job in Rajasthan Subordinate and Ministerial Service Selection Board. Here, we are going share all the information regarding the RSMSSB Tax Assistant Vacancy 2018 in the following sections of this post. This is the golden chance for those contestants who want to do a job in Rajasthan Subordinate & Ministerial Service Selection Board then they must a glance on this given article and collect all the vital details from here and then apply online for this notification from the official website of the Rajasthan Subordinate and Ministerial Service Selection Board that is www.sso.rajasthan.gov.in. Moreover details, contenders can bookmark our careerjobs360 official web page and get all the latest update from here. 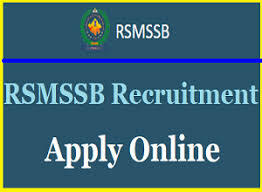 The RSMSSB- Rajasthan Subordinate and Ministerial Service Selection Board has recently released the employment bulletin for RSMSSB Tax Assistant Vacancy 2018 for the appointment of eligible and capable candidates for filling up 162 no. of Posts of Tax Assistant in the department. The Rajasthan Subordinate and Ministerial Service Selection Board is seeking for the eligible and hardworking participants for various vacant posts in the Board. Job Hunters who are searching for the latest government job in Rajasthan State then they don’t miss this opportunity for Rajasthan RSMSSB Tax Assistant Recruitment 2018 from the official website of the department. Eligible & skilled aspirants may fill the online application form on or before the deadline date which is 18th May 2018. Therefore, other details about the Rajasthan RSMSSB Jobs 2018 such as Academic Qualification, Age Limitation, Age Relaxation, Important Dates, Application Charges, Selection Procedure, and the how to apply is provided below in the post. Here, we provide all the details about the RSMSSB Tax Assistant Recruitment 2018. Candidates can check all the eligibility criteria before applying for the given recruitment from here. If you are eligible then you may fill the application form submit the application form on or before the closing date that is 18th May 2018. Age Limitation: The minimum age limit for the participants is 20 years and the maximum age limit for the aspirants is 40 years. The relaxation in age will be applicable only for the reserved category as per the rules and regulations of the govt. Selection Procedure: The candidate will be selected on the basis of their performance in the written examination and personal Interview round which is going to be conducted by Rajasthan Subordinate and Ministerial Service Selection Board. How to Apply Online for the RSMSSB Tax Assistant Recruitment 2018? Firstly, candidates must visit the official website of the Rajasthan Subordinate and Ministerial Service Selection Board that is www.sso.rajasthan.gov.in. After that, go to the career section of the homepage. Now, click on the relevant link and open the official notification to the next page. Read all the Official notification with properly before applying for the given vacancy. Then, click on the apply online button. Now, fill the application form with all the accurate details without making any mistake. Attach the entire required document with the application form. Then click on the submit button from the bottom of the application form. Pay the application form fees if needed. At last, take the print copy of the application form and keep it safe for the further use.